Entry registration is closed. A total of 159 entries were added into the system. Judge or steward registration open. Judge or steward registration will close Saturday, April 27, 2019 11:00 PM, EDT. 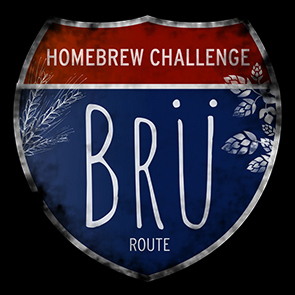 Thank you for your interest in the Bru Route Challenge organized by Delco Wooder Works, Band of Media Brewers and Main Line Brewers homebrew Clubs, At Aston Abbey Brewing, 340 Turner Industrial Way, Aston PA 19014. Thanks and Good Luck To All Who Entered the Bru Route Challenge! There are 159 registered entries and 79 registered participants, judges, and stewards. As of 12:55 AM, there are 138 received and processed entries (this number will update as entries are picked up from drop-off locations and organized for judging). Account registrations accepted 01/22/2019 10:00 AM, EST through 04/13/2019 11:00 PM, EDT. Registrations for judges or stewards accepted 01/28/2019 12:00 AM, EST through 04/27/2019 11:00 PM, EDT. Entry registrations accepted 03/02/2019 12:00 AM, EST through 04/13/2019 11:00 PM, EDT. Entry bottles accepted at drop-off locations 03/30/2019 12:00 AM, EDT through 04/13/2019 11:00 PM, EDT. Entry bottles accepted at the shipping location 03/30/2019 12:00 AM, EDT through 04/13/2019 11:00 PM, EDT.